Disciplinary actions are the topics of many written policies and negotiations. 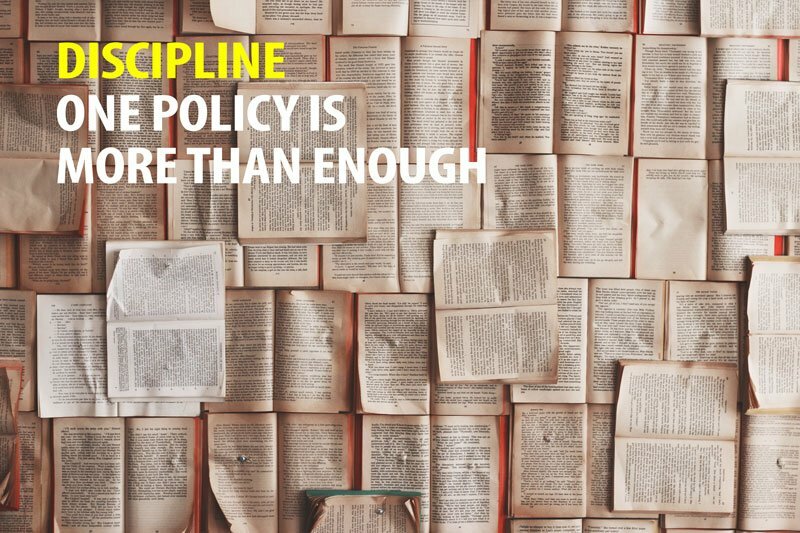 Unfortunately, most agencies don’t know where to begin or end their written policies. And when governmental bodies like OSHA get involved the disciplinary action process goes haywire. Most risk managers get hung up on trying to write a disciplinary action when they start to write their IIPP because OSHA wants you to have an action for employees who violate safety rules. In theory that is a good idea, but that doesn’t mean that OSHA wants you to write an entirely new disciplinary policy for your company. Here’s what I recommend to my clients – keep it simple and keep it inline with your organizations existing policies. And that means it should match up to your union agreements and your personnel/HR policies. If you do that you have a win-win for your organization and OSHA. Not to mention yourself because you won’t be rewriting the policy every time the union agreement or HR policy changes. The last thing you want is an out-of-date policy that cause disparity in the organization. So, do yourself the favor and match it to your existing disciplinary actions.